Range expansion of Citril Finches (Carduelis citrinella) in southern Spain Recently, Citril Finches have become established during the breeding season in small numbers at Puerto de la Ragua (2,000 m) in the Sierra Nevada, southern Spain. At present, this is the most southerly breeding area of the species. The observed range expansion is probably linked to the reforestation of the area with Scots Pines Pinus sylvestris, which improves considerably the food availability in the area. The origin of the birds is unknown; however, settlement after an influx of wintering birds from northern or central Spain seems probable. 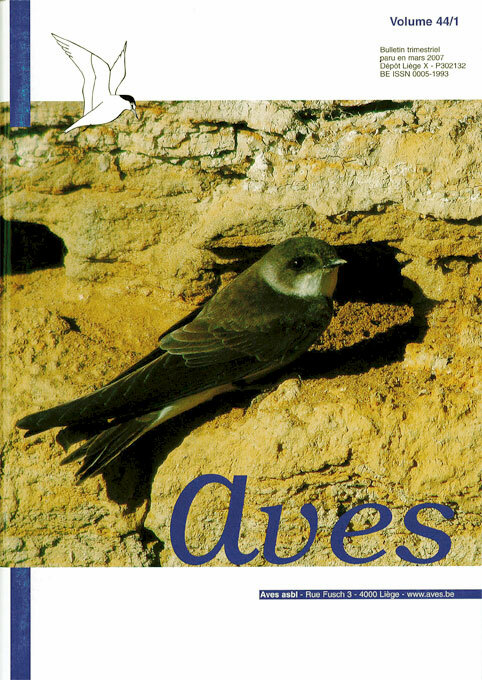 A Case of Adaptation of the Sand Martin (Riparia riparia). A colony nests in a tower of the castle at La Roche-en-Ardenne. Nesting of the Cormorant (Phalacrocorax carbo sinensis) on cliffs.